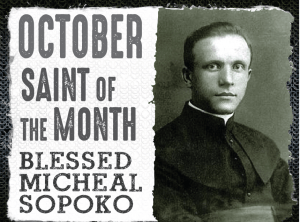 Blessed Michael Sopocko was born near Belarus in 1888. He grew up in a poor Catholic family that taught him the foundations of his faith. He decided to become a Catholic priest when he was young. His first work as a priest was with youth and he prepared hundreds of kids to receive first communion. He was an army chaplain in Poland during WWI. He then became a university professor and director of a seminary where he taught and helped future priests prepare to serve God in the priesthood. He met Faustina Kowalska, a polish nun and soon became her spiritual director. Sister Faustina is the one who received the inspiration to start Divine Mercy devotion. In her diary she wrote about Fr Sopocko, “This priest is a great soul, entirely filled with God.” It was Fr Sopocko who helped St Faustina find an artist to paid the image of the Diving Mercy version of Jesus. In 1935, Fr Sopocko began giving homilies and speaking of Divine Mercy and displaying the image on Divine Mercy Sunday after Easter. In 1936, Fr Sopocko wrote the first pamphlet about the Divine Mercy devotion. In 1942, Fr Sopocko had to go into hiding for about 2 years because of WWII in Poland. The Soviets were looking for him and he evaded them several times. He used this time to establish a new religious congregation based on the Divine Mercy message. He dedicated the rest of his life to teaching and helping spread the devotion to the Divine Mercy. 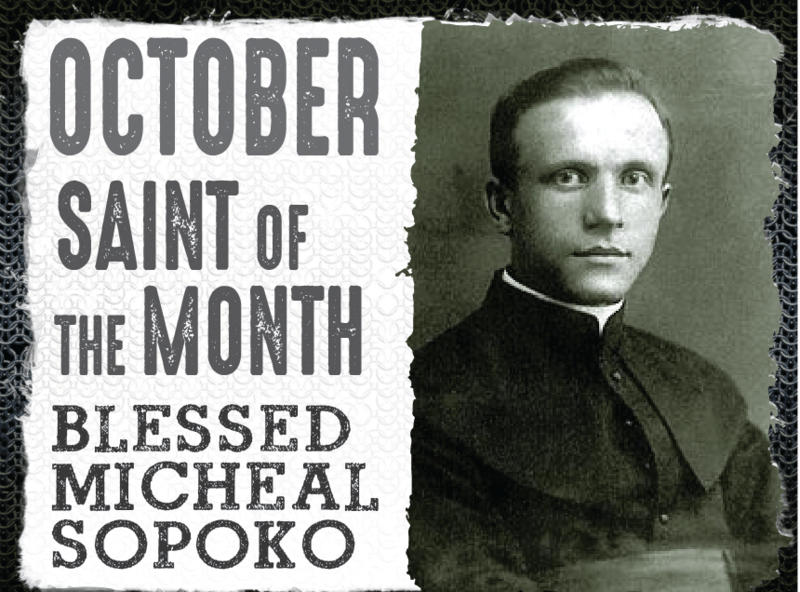 He died in 1975 and was declared blessed by Pope Benedict in 2008.